Belgrave have a fine recent record in this popular Championship race in which many teams struggle to find a strong scoring six runners. With many of the team suffering from illness or injury, the 13 Belles who were entered ended up with only the bare six on the day, with co-skipper Megan James clearly not well but agreeing to run for the sake of the team. Others were struggling too, Lizzie Goldie-Scott just back from injury with a painful stitch all the way around myself still not back to full fitness, in the middle of moving house and feeling off-colour but said ‘if I say I’ll run, I’ll run’. We had probably the bravest team performance from the Belles ever with what was ” 13 ” expected starters to the only six so every finish counted. We were able to also celebrate with an outstanding win from Sophie in what must have been her best ever race and place. 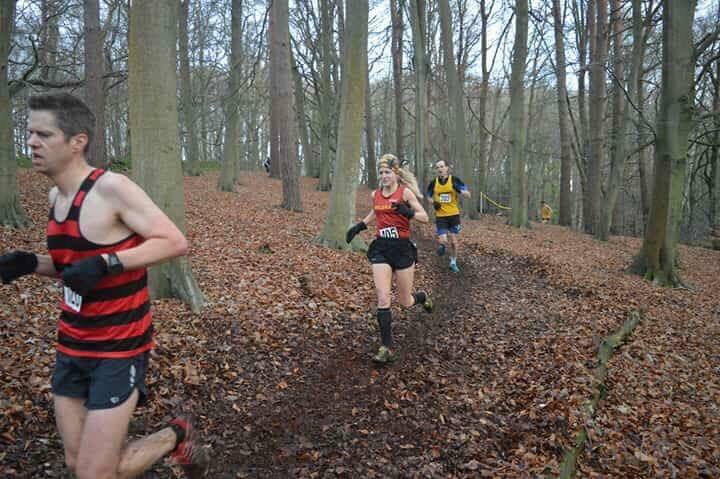 I then came in a strong reliable race for sixth place, then Mhairi Hall who ran most of the race in company with Christina Pennock, in sadly what will be her last race for the Belles, but Mhairi’s final strong lap made up several places to finish 14th. Then finally, Lizzie Goldi-Scott and Megan James who on any other day would have dropped out, but they both soldiered on to the end to earn the team silver medals. A truly memorable day, guts, determination, and Belles laying themselves on the line for the sake of the team. S. Harris: 42.31, 2. N. Taylor (Tonbridge) 43:14, 3. G. Bruinvels (AFD) 43:39, ……. 6. S. Amend 46:33, 14. M. Hall50:31, 16. C. Pennock 50:48, 39. L.Goldie-Scot 55:25, 47. M. James 58:06. Kent AC 114, 2. Belgrave Harriers 123, 3. SLH 144.